Note: The internship year begins each year on July 1st and ends on June 30th. 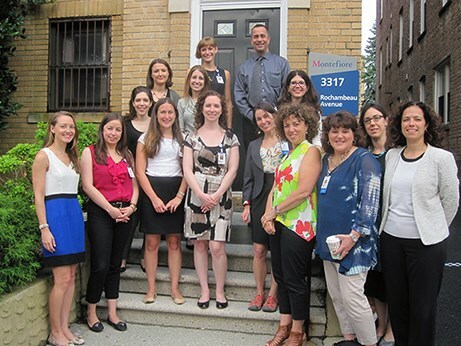 The Psychology Internship Training Program is housed within the Montefiore Health System, one of the largest healthcare systems in the nation, offering a full range of services to approximately two million individuals from the Bronx, Westchester County, and the lower Hudson Valley, as well as many from across the nation and around the world. In addition, the U.S. Census considers the Bronx to be one of the most diverse areas in the country, in terms of race and ethnicity, with the majority of the population speaking a foreign language at home (45% of which is Spanish). In particular, the demographics of the Bronx are characterized by a Hispanic majority, which is unique among New York City's boroughs. Our patients also present with an immense range of both acute and chronic medical and mental health issues, as well as numerous psychosocial and environmental stressors (e.g., complex trauma, low SES, lower levels of early childhood development, increased social exclusion, decreased social support, decreased availability of healthy food, decreased accessibility to health transportation, etc.) and higher rates of addiction. 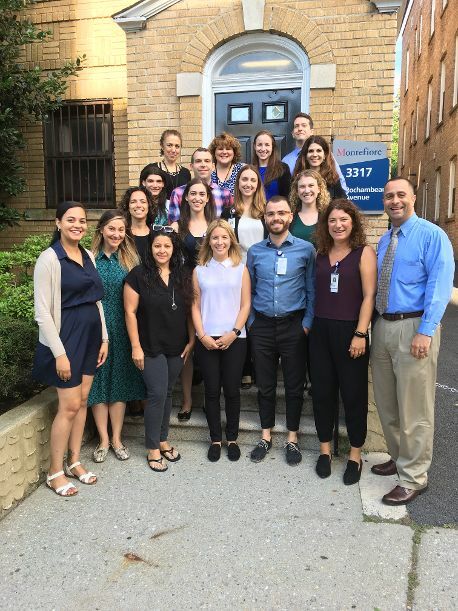 The Psychology Internship Training Program is sponsored by Montefiore Medical Center, an academic medical center whose mission “is to heal, to teach, to discover and to advance the health of the communities we serve”, with a focus on learning, research and collaboration in the pursuit of excellence in the delivery of care. Montefiore constantly strives to build upon our rich history of medical innovation, social justice, population health, and community service. This is exemplified in our exceptional, compassionate care and dedication to improve the well-being of those we serve. Our vision is to be a premier academic medical center that transforms health and enriches lives. Through an enduring partnership with Albert Einstein College of Medicine, a research-intensive institution with a wide-range of basic and population science departments, Montefiore Medical Center aims to combine clinical care with bench to bedside research in order to deliver the most current treatments available to our patients and create new knowledge. Together, with state-of-the-art facilities and the highest ethical standards, we aim to challenge the limits of healthcare to enhance the lives of everyone for whom we care and for future generations. Consistent with the mission and vision of the medical center, the aim of the Psychology Internship Training Program is to achieve a balance between clinical service, training and supervision, and research throughout the internship year, while capitalizing on the unique opportunities that arise from being housed in a busy academic medical center serving a complex, challenging, and diverse population. In addition, as Montefiore Medical Center has a long history of being at the forefront of social justice and community service in their training and direct care, psychology interns are afforded opportunities to further expand their professional identities to include mental health advocacy within hospital, in surrounding community and beyond, as well as community service (e.g., presenting to local groups and associations via our Office of Government & Community Relations). Interns must complete their internship in 1 year of full-time training (12 months). While the minimum number of hours is 40 hours/week, most interns elect to do more, averaging approximately 45 hours per week. The time that interns spend in particular activities varies according to the specialization (adult, child and adolescent, or combined), but typically includes providing direct patient care, conducting research, receiving supervision, participating in multidisciplinary treatment team meetings and staff meetings, and attending lectures and our department’s Grand Rounds.